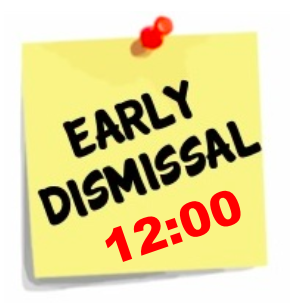 We will dismiss at 12:00 tomorrow so that teachers can attend afternoon training. This entry was posted in Information and tagged early release by Mrs. Hunter. Bookmark the permalink.